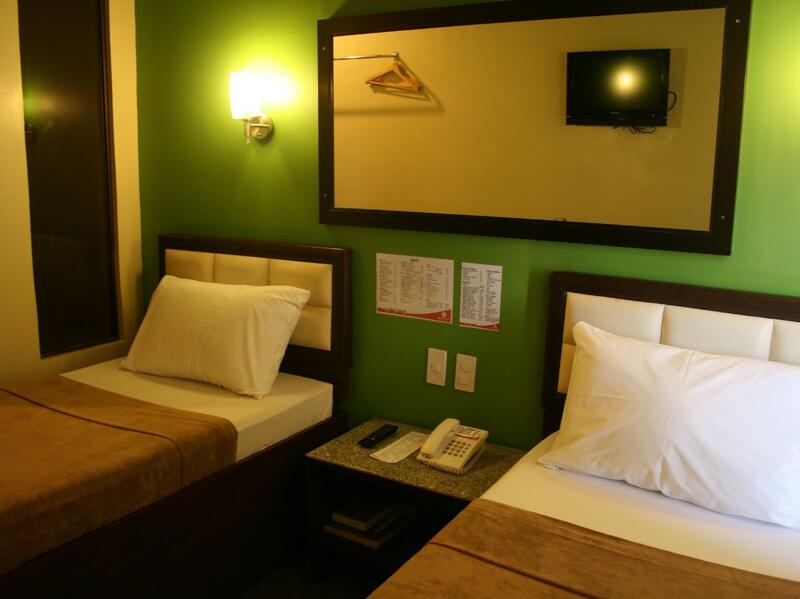 Have a question for Express Inn Cebu Mactan? "Their breakfast and service attitude was good." "Stay was good, nice clean rooms, great location, staff were helpful, and facilities was just okay." "Convenient since it's very near airport"
"Everything is smooth from the reception to our room." 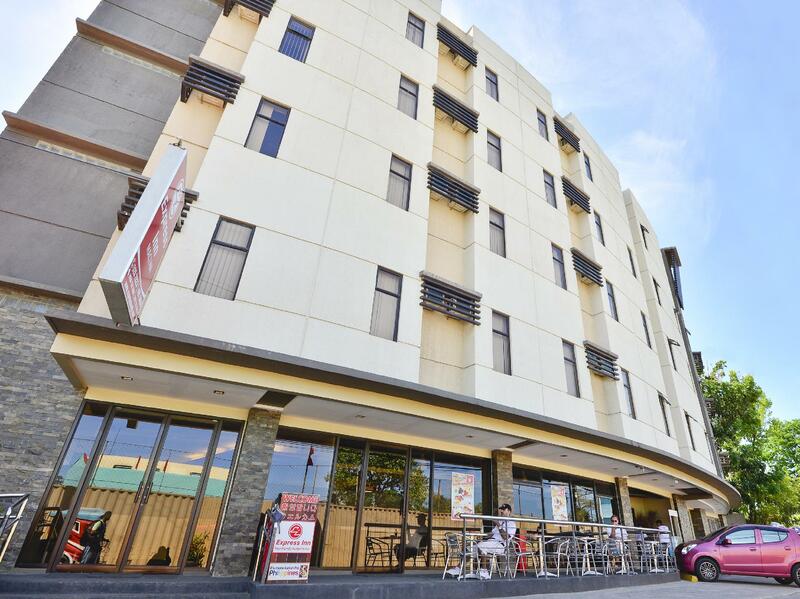 Built in 2011, Express Inn Cebu Mactan is a distinct addition to the city's skyline. The hotel's strategic location ensures that guests can quickly and easily reach many local points of interest. A haven of rest and relaxation, the hotel will offer total renewal just steps away from the city's numerous attractions, such as Fashion TV Asian HQ, Mactan Island Golf Club, and Mactan-Cebu International Airport. 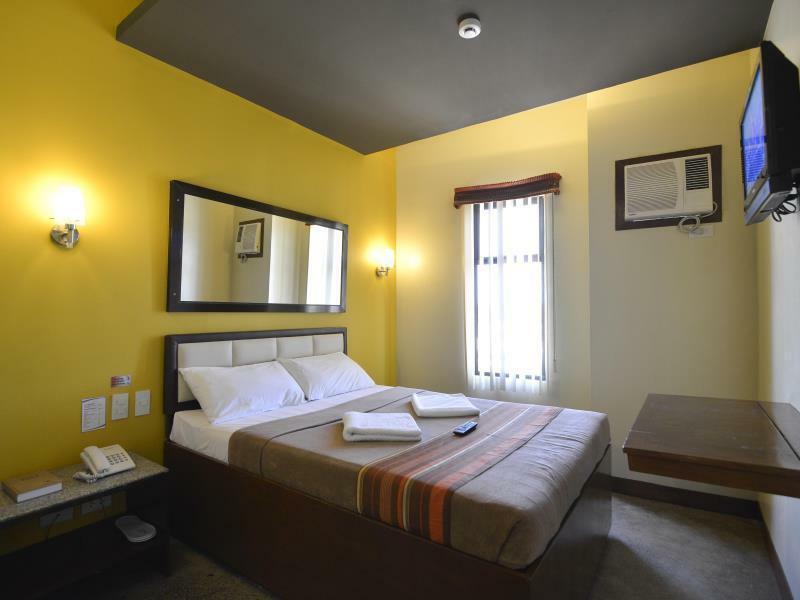 The facilities and services provided by Express Inn Cebu Mactan ensure a pleasant stay for guests. While lodging at this wonderful property, guests can enjoy room service, a coffee shop, Wi-Fi in public areas, and a car park. 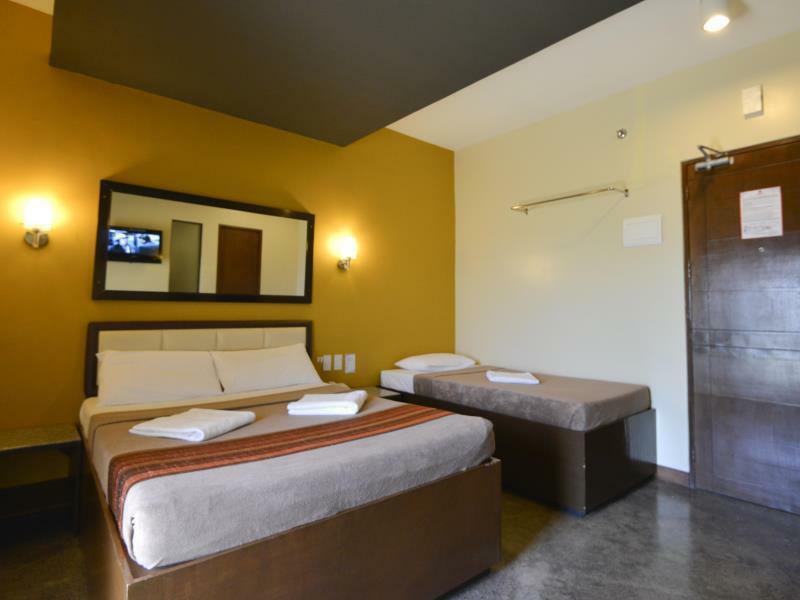 All guestrooms feature a variety of comforts such as air conditioning, an LCD/plasma screen television, and Wi-Fi internet access. The hotel's recreational facilities, which include a garden and massage treatments, are designed for escape and relaxation. With an ideal location and facilities to match, Express Inn Cebu Mactan hits the spot in many ways. "The hotel was clean and had a restaurant to eat good food." Did not met my expactation. The room were in is like your in a cell. Floor is not tiled looks dirty. Did not like it one bit! The place was far from everything. u have to hire tricyle to get to gaisano or restaurants. Staff was rude. Unaccomadating. I definately don reccommend this hotel. I was disappointed with this motel. This exhaust fan from the kitchen blew right outside my window. So it was noisey from 6am to 10am and again from 6pm to 10pm. In their defense I was only there for two nights so I did not request a change of rooms so I don't know if they would have accommodated a room change. The restaurant food was great the first night but very poor the second night. So hit and miss on the restaurant. Staff were a little bit stiff and less courteous than expected No free drinking water, no internet in our room and the connection in the lobby is too poor. The room given to us was too small for a standard size and the door was broken. Location, also not quite ideal. This hotel is located at 15 minutes of taxi from the airport. The staff was helpful. This room is perfect for one night waiting to take our flight. It is not located well but they have a restaurant that is so good!! Terrible location, close to nothing, not even that close to the airport. Wi-Fi was bad, no windows in my room, ants everywhere, restaurant barely had anything left when I ordered. I would have gone elsewhere but, again, middle of nowhere. Your money would be better spent somewhere else. You get what you pay for. Don't expect more than a place to rest before or after your trip. Breakfast is terrible and wouldn't include in the future. Most rooms have no window. the place is adequate and you really get what you paid for. the place is walking distance from main public transportation. road going to the public transpo is busy with tricycle in the morning and not well lighted going back to the hotel in the evening. Booked it as we thought it was close to Mactan airport but turns out not as close as we thought! On arrival huge cockroach in our room and they let us change to a different floor. Nice restaurant in the hotel, good dinner. However breakfast is very disappointing given a choice of 4 breakfast sets, not one of them vegetarian. I know Philippines is terrible for veg food but for a hotel to not even offer 1 veg option is unacceptable. Botacay has gotten expensive since the opening, hotels are at least double the price of last year. Beaches are great although no more entertainment on the beach. A lot more reserved. Once off the beach the middle part of town, main roads are a disaster. A long way to go before it’s normal again! Express Inn is a very simple hotel offering little other than a "comfortable night stay at the Inn." The location is a bit off the beaten track but not far from a main road offering basic eateries and whatnot. The place is clean, the shower is very good, and the complimentary breakfast is more than worth the asking price. I'd stay here again, if only for convenience and lack of willing to heighten my budget on hotel stays. The location is only recommended if you need to be close to airport. Room was good- Comfortable mattress! (Rare in philippines). Staff were all really nice and so was the food. We had dinner- nice seafood sisig! We also had breakfast included which we also enjoyed the choice. The area as you enter the place was a bit dodgy so make sure take a cab or a grab car. On the other hand, the room was great and very clean, they have thick blankets, which were perfect, not like the thin ones you get on some hotels, and the breakfast was great. It is about 10-15minutes from Mactan airport and it was a very good stay.